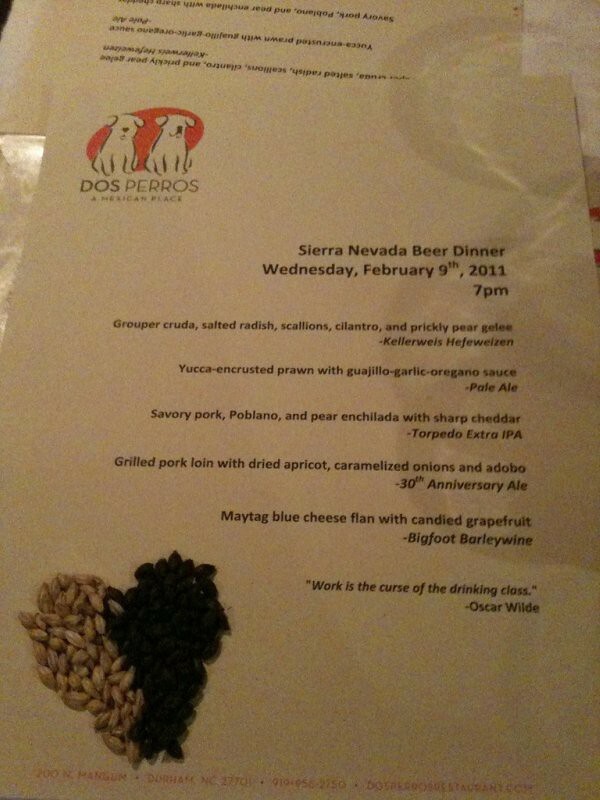 …all perfectly paired with creative south of the border inspired courses from chef charlie of dos perros. This entry was posted in beer, drinks, restaurants & places we ♥ and tagged pale ale, sierra nevada. Bookmark the permalink. nothing to mess around with, but so, so good! Looks delicious…5 beers though…were they full glasses? not full, but it was still enough!